Since she burst onto the scene in 2007 with her debut “I Am”, we’ve had the pleasure of watching Chrisette Michele evolve and blossom into the amazing artist she is today. She’s an artist who truly respects her craft and the essence of r&b and soul music as art and a form of self expression. 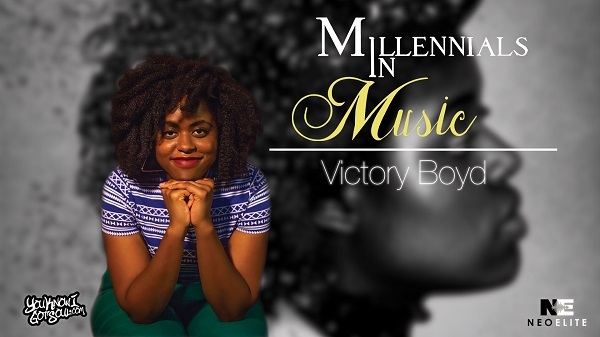 With the release of her mixtape “Audrey Hepburn: An Audiovisual Presentation” late last year, she made the next step in her growth to music with a more positive tone over a full project. Now as she prepares to release her fourth album “Better” in a few months, fans will get the opportunity to see just how far she’s come. We had the opportunity to sit down with Chrisette prior to a recent performance in NYC and discussed why she focused on Audrey Hepburn, what to expect musically on her new album “Better”, expanding her sound over the years, what “Aston Martin Music” meant to her career, and much more. YouKnowIGotSoul: Your new mixtape “Audrey Hepburn: An Audiovisual Presentation” is out now. Introduce us to that project. Chrisette Michele: I went to Paris, London, Amsterdam and Brussels to retrace the footsteps of Audrey Hepburn and I kind of fell in love with so many different people and sounds and movements. So I tried to collaborate with some producers that I met and some rappers that I met from Africa all the way to London. We came up with “Audrey Hepburn: An Audiovisual Presentation”. YouKnowIGotSoul: What led you specifically to Audrey Hepburn that you wanted to make this project centered around her? Chrisette Michele: I was in love with her movies and her humanitarian efforts. I was in love with her style, I was in love with her whole entire vibe which really spoke to me. My mom had always sung her songs when I was young. So I just wanted to capture whatever I could of Audrey Hepburn for myself. YouKnowIGotSoul: This is your second mixtape now. 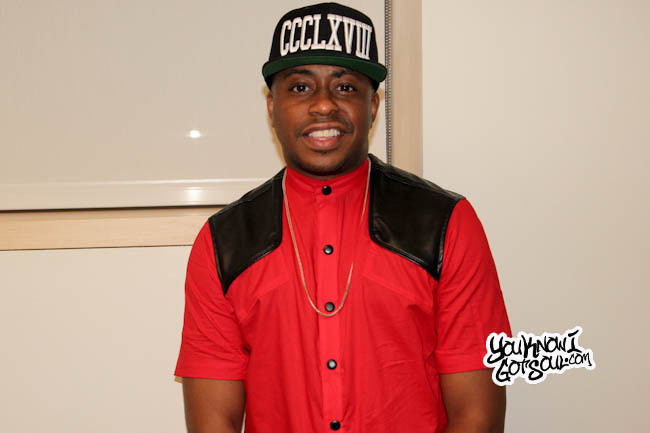 I know your cousin Raheem DeVaughn kinda innovated the mixtapes for r&b back in the day. Do you feel like in r&b these days it’s a necessity to put out a mixtape? Everyone is doing it now, but it wasn’t always that way, it was mostly a hip-hop thing. Chrisette Michele: I will know if putting together a mixtape is a necessity when the success of my album speaks on that subject. Putting a mixtape out is a necessity for my heart though because it’s a time when I’m able to really express myself with anyone interfering at all; visually or sonically. 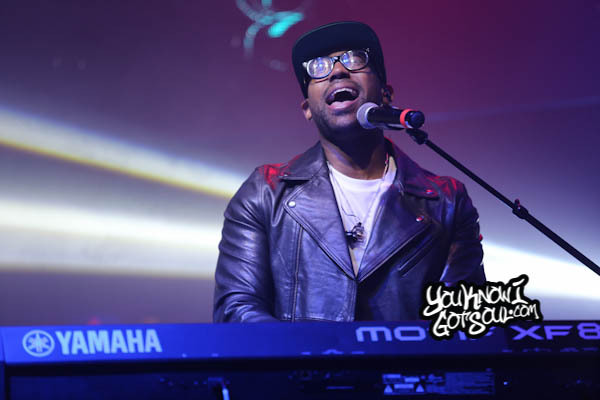 YouKnowIGotSoul: You’re also releasing the new single “Better” which is off your new album. Tell us about it. Chrisette Michele: The single is actually not out yet, it’s on a little compilation CD that’s on Ne-Yo’s album. So it will be coming out with my album April 30th with the album “Better”. I’m so excited to share that song with you guys. I wrote it maybe a year and a half ago and it really, really captures the essence of what I’m trying to say. I’m ready to be in love, but whatever happens with love, it’s got to make me feel better, because getting this far has halfway made me lose my mind! YouKnowIGotSoul: I was reading in another interview you did recently that you won’t’ be doing broken hearted songs anymore. You’ve done well with those in the past, how do you feel like your fans will react? Chrisette Michele: I’m not sure how my fans are going to react. I was overwhelmed with the response that I received from my mixtape. I really was just tweeting songs and videos and kinda just having fun. So the amount of love that they showed from the mixtape was overwhelming. I can imagine that they will be intrigued by the concept of me being healed and happy. I’ve now healed, so I’m not broken hearted, so I can’t lie. 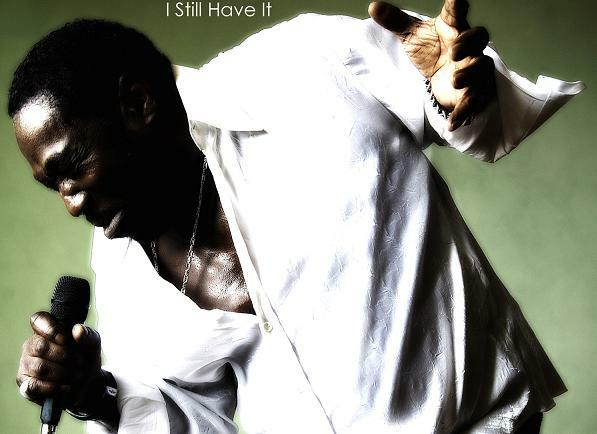 YouKnowIGotSoul: This is your fourth album now, musically what can we expect on there? Chrisette Michele: You can definitely expect a lot of the same passion that you heard on songs like “Blame it on Me” and “Goodbye Game” and “If I have my Way”. There are a few more uptempos reminiscent of “Be Ok”, and then some stuff that just came into my head. I have one song that’s all harmony. I just cannot wait for you to hear it, and you guys let me know what you think, it’s going to be a really, really fun time. YouKnowIGotSoul: As your career has progressed, I’ve noticed you’ve expanded your sound and mixed in some different sounds. Has that been a conscious decision for you over the years or has it happened naturally? 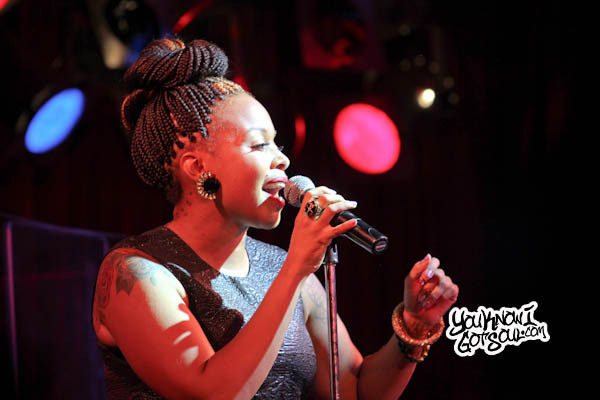 Chrisette Michele: Unfortunately I get super bored really fast! I have ADHD X 76! Doing the same thing over and over is just not something that I have the ability to do. I try to do it though, I promise, I just can’t! YouKnowIGotSoul: You’ve worked with Chuck Harmony a lot over your career, he had a big part in the production of the last two albums. What’s your guys chemistry like? Chrisette Michele: Me and Chuck are like brother and sister. I do not understand how we are so close and so cool so quick. He is like my good luck charm on every album. I cannot have an album without putting my boy Chuck Harmony on it! 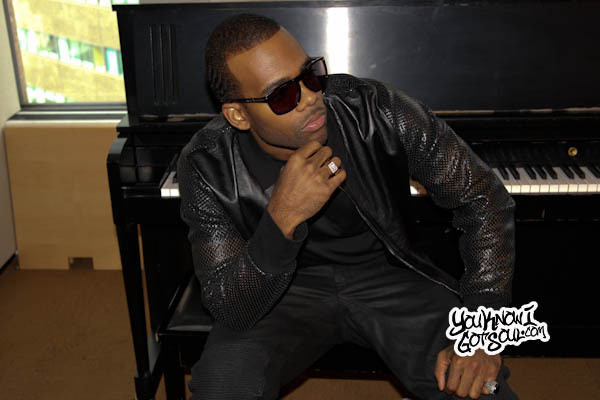 YouKnowIGotSoul: A few years ago you were featured on the huge single “Aston Martin Music”. What do you feel like the song did for your career? Chrisette Michele: “Aston Martin Music” taught me a lot about myself. I know that you can hear me in different countries, but in my heart it was heard really, really loud through a lot of experiences surrounding that song. It taught me that my success is not necessarily built on something on a chart or something on a radio, but it’s built on me being emotionally stable, physically stable; whether I have an Aston Martin or not. So for me, that song was a building block in my personal life. YouKnowIGotSoul: We always love to hear the history behind artists and how they got their start. How did you get your break before signing to Def Jam? 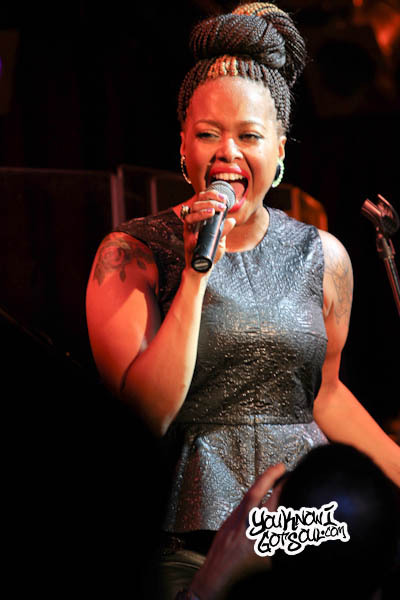 Chrisette Michele: I was in school for vocal jazz performance college. I would perform in places like The Village Underground every Sunday, just different open mics. Me and a few friends of mine put a demo out to all of the record labels in the city. Def Jam had an assistant to a big time A&R that heard my demo, contacted the A&R, called me in and had an audition and Def Jam signed me the day that I auditioned. It was a fairly simple process which leads to me next though that as soon as you keep God first, he’ll direct your path and lead you to your destiny. Just have faith and show out, things will work out. Chrisette Michele: I cannot wait for yall to hear my freakin album “Better” in stores April 30th! Also come and check out Audrey live, it’s coming to a city and maybe even a country near you. We’ll be in Europe and we’ll be in Africa, so come check us out. Peace!